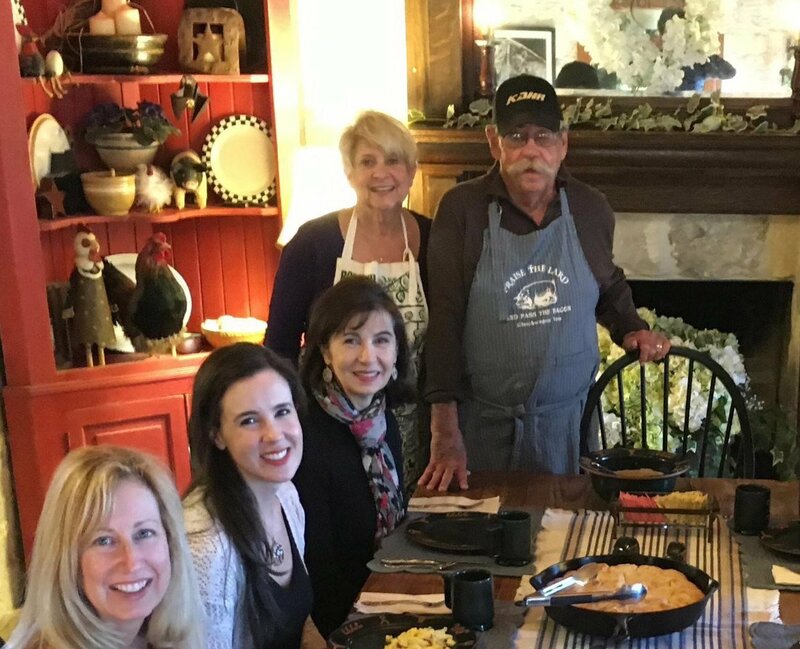 Not only are Sam and Becky Higgins seasoned veterans of the bed and breakfast business, but they are also old hands at cooking and entertaining. They have been featured in Bon Appétit and Southern Living magazines, teach cooking classes, and have catered political, company, and private parties across the country. In addition, Sam has been a guest chef at the Beringer Vineyards in Napa, CA. Sam and Becky have won many blue ribbons for their cooking exploits at the State Fair of Texas, and have written three cookbooks, including the best selling I'm Glad I Ate When I Did, 'Cause I'm Not Hungry Now.